The Nasdaq was founded in 1971 by the National Association of Securities Dealers. Over the past 10-15 years, the Nasdaq has become arguably the most-watched stock exchange in the world, due to its inclusion of high-flying stocks such as Google, Intel and others. During the dot-com boom in the late 90's, many people forgot that the Dow Jones Industrial Average and S+P 500 even existed. Many publications and television shows have focused on the plight of the Dow and S+P 500 during this current economic meltdown. The declines in the Dow Jones Industrial Average haved greeted us on almost every nightly news show and on the front cover of almost all of our morning papers as of late. But what about the Nasdaq? How is the formerly high-flying stock exchange holding up these days, and how will 2008 compare to some of its previous worst years? 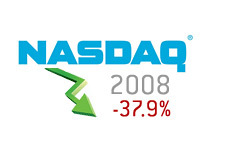 As of October 9th, 2008, the Nasdaq Composite is down 37.9% on the year. 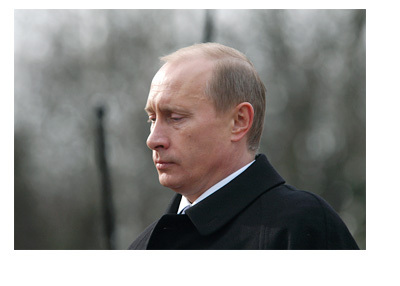 It closed on the last day of 2007 at 2,652.28, and is currently trading at 1,645.12. With the markets looking primed to take another beating on Friday, the Nasdaq Composite could soon be down over 40% for the year. How does this compare to previous years? Surely 2000, the year that the dot-com bubble popped, was a worse year than 2008? We looked at the data from 1975 until 2007. Since 1975, the Nasdaq has only suffered eight down years - 1981, 1984, 1987, 1990, 1994, 2000, 2001 and 2002. The worst year was 2000. The Nasdaq opened at 4,069.31 in 2000, traded north of 5,000 (briefly), and then ended up closing the year at 2,470.52. This represented a total loss of almost 1,600 points, or 39.29%. As you can see, we are very close to surpassing that mark in 2008. 2002 was another very bad year for the Nasdaq, as the United States battled a 9-11 inspired recession. The Nasdaq opened at 1,950.40 in 2002, and ended the year at 1,335.51, making for a total percentage loss of 31.53%. The Nasdaq dropped in 2002 as well, losing "only" 21.05% that year as the dot-com bubble continued to deflate and average investors continue to purge their portfolios of technology stocks. If you exclude 2000, 2001, and 2002, the worst year for the Nasdaq was 1990, when the exchange dropped a total of 17.8%. Other than that, the other down years for the Nasdaq have been pretty tame. The big question now is - will the Nasdaq quickly bounce back after having a horrific year in 2008, or will the exchange continue to wilt in the years ahead, similar to what happened between 2000 and 2002? What do you think the short-term future holds for the Nasdaq? Please leave your comments below.